There are two Istanbuls – one above ground and one below. Yet in reality they are one and the same. Four men share a tiny cell in an underground torture centre in the bowels of Istanbul. By mutual consent no-one gives away much about themselves or the reasons that brought them here. However between the almost daily sessions with their torturers, they tell each other stories, parables, riddles and legends about the city above their prison – an antidote to their fear and suffering. 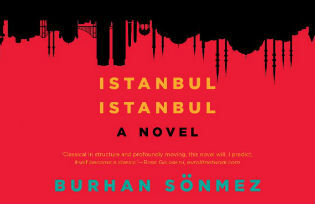 “Istanbul Istanbul” by Turkish lawyer and writer Burhan Sönmez owes an acknowledged debt to Boccaccio’s Decameron – as each prisoner narrates in turn the novel’s ten chapters. But while the people in the Decameron fled the city to escape the plague and certain death, our four prisoners have been dragged into the depths of the city, against their will and with the likelihood of death ever closer. Despite the book’s gruesome setting, very little torture is actually described – the prisoners’ suffering is evoked almost as a backdrop to the humorous, bawdy, adventurous and romantic stories they tell . What stays with the reader is the potency of human imagination and compassion in the face of adversity – and while the novel is unmistakeably political in nature, the individual stories eventually merge into a love poem to the city of Istanbul. Burhan Sönmez was born in Turkey and brought up speaking Turkish and Kurdish. His childhood years, spent in a remote village in central Turkey without electricity and with a mother famed for her story-telling had an impact on his later literary career. He trained as a lawyer in Istanbul, joining the IHD Human Rights Society and later founding TAKSAV (Foundation for Social Research, Culture and Art). In 1996 he was badly injured following an assault by police in Turkey after which he spent several years in England being cared for by the Freedom from Torture organization. He was one of the leaders of the Gezi Park demonstrations in 2013,which protested the government’s plans to convert the park into a commercial centre. His writing – both poetry and prose – has won various prizes in his native land and abroad – he was the youngest ever recipient of Turkey’s prestigious Sedat Simavi Literature Prize in 2011 for his second novel “Sins and Innocents”. Sönmez’s works have been translated into more than seventeen languages. 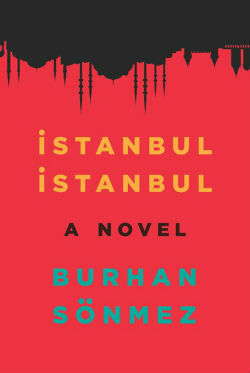 “Istanbul Istanbul”, published in English by O/R Press, is his third novel. 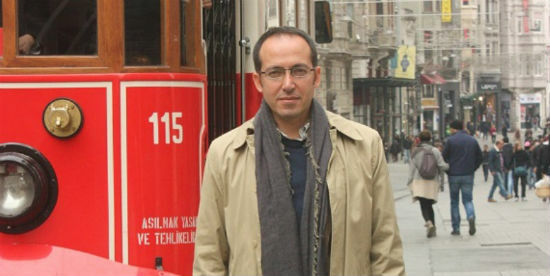 Burhan Sönmez currently lectures in Literature and the Novel at the METU (Middle East Technical University).